Wow, it’s gotten dusty in here whilst I’ve been away. Not good for a guy who’s not long recovered from pneumonia. Hi. I’m back. Missed me? Yeah, I could start giving a woefully-inadequate explanation as to why this blog has lain fallow for so long – a blog, incidentally, which still gets hundreds and hundreds of hits a day even though I haven’t written anything new for two and a half years – but, honestly, who has time to read that nonsense? Let’s just crack on with this record, which is excellent, and its place in Motown history, which is complicated. I’ve been away too long, and in the intervening year and a half, we’ve lost too many Motown alumni, both legends and the undeservedly forgotten. 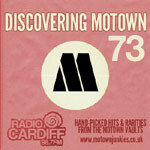 It’s the latter which really twist the knife; one of the main joys of doing this blog was always the chance to give some long-overdue plaudits to some of the unsung heroes of the Motown story. Each time I have to refer to someone in the past tense, I can’t help but feel guilty that I somehow let them down, missed my chance to honour them. And, of course, there’s you lot – the people who read and comment, the people I really need to apologise to for the lengthy wait. It’s been over two years since I was regularly able to post, and while the viewing figures have actually held up pretty well (we’ve had almost as many readers in 2017 as we did back in 2014, stats fans) and there have been a lot of really good and interesting comments made on lots of old threads, well, I’m sorry you haven’t all had anything new to read from me for a while. But, hey, it’s less than two months until Christmas… 2017. Who asked Santa for entry 689, then? Well, whoever you are, your wish is my command. Parallels are often drawn between Motown’s revolutionary modular-parts approach to making records, and Detroit’s other world-famous export, the car assembly line. It’s not usually meant as a compliment; the implication (when it’s only implied, rather than flat out spoken!) is to unfavourably contrast the hits being pumped out from the Hitsville conveyor belt with the good old-fashioned rock and roll hand-crafted by white boys, to reduce Motown’s output to a product, a mechanized commodity, manufactured, inauthentic, ephemeral, disposable. The mistake there is to confuse efficient speed with a lack of care, a lack of soul. Pretty much everyone involved in a Motown production – writers, producers, band, artists, marketers, publishers, distributors, even the people who ran the massively complex ITMI operation which sent artists and musicians out on tour and booked them precious windows of studio time (no easy feat when musicians of any stripe are concerned, never mind teenagers)… pretty much everyone involved put in the hard hours, and most of them put in the love too, all with the goal of making the best possible (and best selling) record they could make. If that meant setting those building blocks in motion weeks or months in advance, so be it, but the end result was scarcely ever less riveting than something that had developed “organically” out of a post-pub skiffle jam session. But there’s one way in which the intricate chaos of Motown’s internal processes did mirror the great auto plants of the Motor City: easy interchangeability for greater productivity. Put simply, great new songs – with great new band tracks – rolled off Motown’s metaphorical production line at a steady rate, and Motown saw to it that someone would always be around to sing them. It didn’t always matter exactly who that might be; we’ve already seen just how keen Jobete, the company’s in-house publishing arm, were to have the same song recorded multiple times by multiple artists, wringing out every last possible cent in royalties, a practice which would only accelerate in the late Sixties and early Seventies as the supply of killer original material began to dry up ever so slightly. Sometimes this raft of multiple cover versions would be intentional, producers looking to fill albums and B-sides or push out new singles, writers lobbying to have their work included on as many discs as possible. Other times, there was no real rhyme or reason to it; we’ve already seen a couple of occasions where someone got to sing a song simply because they happened to be in the studio when the track was ready, while there were also times a track was cut without any particular artist in mind, or cut speculatively for one artist only to end up in the hands of someone entirely different. And that leads us neatly back to the Isley Brothers and There’s No Love Left. During my lengthy time away (which I won’t keep banging on about, I promise), I’ve had plenty of time to consider the case of the Isley Brothers’ strangely-unfulfilled at Motown. I say “unfulfilled” rather than “unsatisfying”, because they cut a whole lot of great records during their time at Hitsville – not least their first single, the awesome A-side here, This Old Heart Of Mine (Is Weak for You). Also, at fifty-plus years’ remove the commercial successes and failures become less and less relevant. But following the thunderclap of their label début, a début it’s since occurred to me would have been a tall order for anyone to subsequently match or top, there surely can be no denying the Isleys never quite lived up to their potential while on Motown’s books. Listening to this record again, it becomes pretty clear – Motown didn’t need the Isley Brothers. However much of a prized feather in Berry Gordy’s cap their signing might have been, however giddy the starstruck Holland brothers might have been to work with their idols, Motown simply didn’t have room at the very top tier to push the Isleys as a star act. That lack of room is the single biggest explanation for a number of mid-to-late Sixties Motown controversies, the company in a perverse way becoming a victim of its own astonishing success rate in uncovering new superstars for America to clutch to their hearts. Once you reach saturation point, it doesn’t matter if your next discovery is Mozart and James Brown rolled into one; if you want them to be a mega-star too, then the only realistic way in is dead man’s boots, pushing down someone else to make space, on the release schedules, in the studios, on the airwaves. Something’s got to give. And however great the Isleys were, they simply weren’t as good as the most obvious candidates whose territory at Motown they were unwittingly invading. That this song sounds so much like the Four Tops is scarcely a surprise. Even before I’d ever heard the Tops’ original version (on the otherwise-plodding On Top album, where it sits cheek-by-jowl with a bunch of misguided attempts to play up the boys’ MOR credentials), just on first listens I had this one pegged as a respray job, and so it turns out to be. What did surprise me was that the backing track had apparently been intended for the Supremes, who were eagerly hoovering up as much precious new material as Holland-Dozier-Holland could provide for their numerous album projects during their quite remarkably prolific 1965; a surprise, because while it’s easy to imagine Diana Ross singing it (a recording, if it ever existed, of which to the best of my knowledge no surviving copy has yet surfaced anywhere), this song sounds as though it was crafted specifically for Levi Stubbs. Nonetheless, for whatever reason, the Supremes never released their version, and the Four Tops had laid down a complete vocal more than six months before the Isley Brothers were also invited to have a crack at the song. Now, playing the two back to back, I think I definitely prefer the Isleys’ version; the Tops cut seems a little too restrained, almost as though Levi is keeping himself in check, rather in keeping with the whitebread feel of much of the On Top LP. Not that it’s bad, particularly, but given it was the Isleys’ version I heard first, the Tops’ original seems lacking by comparison. Certainly, this version’s most defining and audience-grabbing feature, Ronald Isley’s soaring, wounded falsetto over each bridge as his emotions seem to overwhelm him, is missing entirely from the Tops’ cut. The backing track, with the immortal Andantes present, remains the same, and so really the lead vocals are the only discernible difference between the two. Accounting for the usual thin film of scuzz and grime the Isley Brothers brought from their chitlin-circuit past to their slicker Motown cuts, barely – just barely – detectable here, this still ends up sounding more like the Four Tops than the actual Four Tops had managed. I’m a sucker for breakup songs full of finger-pointing and recriminations, and this is a prime example, but while it’s rather pretty and quite good fun to listen to, the thought keeps cropping up that Motown already had someone else already doing this better, individual examples notwithstanding. On the On Top album, this song still stands out as a beacon amid a lot of forgettable sludge; here, as Motown charge into 1966, and coming as it does right on the heels of one of the company’s most enduring and exciting A-sides, it’s just another really solid Motown cut. By now, Motown could afford to be blasé about such things. Well. I didn’t remove the bookmark for this site from my favourites in the last two and a half years, and this in one fell swoop has reminded me why I keep it. Great read on a great song. Welcome back! I love this track, and think it’s a lot more distinctive than you give it credit for. Thank goodness you’re back, to have someone to have this type of discussion with! 7/10 seems a little generous, but almost anything can be forgiven, knowing that your thoughtful, intelligent and occasionally provocative blog throbs once more. Welcome back, I hope everything is oké! Ha! Ha! Wij schrijven hier geen Nederlands! Oké (Okée) in English is spelt: “okay”! Are you, by any chance, related to Paul Verhoeven? To my ears, The Isley Brothers’ vocals, in particular the lead vocals, laid down by the group during its Motown years always felt awkward, raw, forced and phony. They lacked subtle nuance. They seemed insincere. Levi Stubbs pushed his voice to far better effect, instinctively knowing when to thrust harder and when to hold back, and thus his words sounded heartfelt (and musical). The Isleys kept it all coming at one constant level, in a kind of nasal shout that was, by itself, rather flat and unappealing. Had they varied the intensity of their vocals, word by word or syllable by syllable, they might have been able to demonstrate some emotional involvement with the lyrics. Instead, what they delivered was consistently harsh volume, an aural slap that was noise for the sake of noise. If Diana Ross and The Supremes recorded this song, the lyrics would have been enunciated clearly, with apparent thought and understanding. The notes would have been bent with artistry. However, The Isleys could have been offering a roughly phonetic approximation of a foreign-language demo they’d heard in passing for all the thought they’d invested in the message. I’m often reminded of the two groups’ rendering of This Old Heart Of Mine. When Diana Ross sang “you’re here for the day, gone for the week, now…” that “now” was captivating even as it caught the singer’s disillusion and exasperation, a seemingly impromptu ad lib as shimmering and natural in flow as a drop of water in a river in the sun; when an Isley brother uttered the same word, it hung like a dead leaf from a diseased branch on a wind-still day; it had no purpose but to fill space; it did not propel the story line or the melody forward. So, to the automobile assembly-line analogy you observed is sometimes used disparagingly in describing Motown’s output in the mid-1960s, here, on this Isley Brothers’ 45, it applies. All of the underpinnings are in place, with the Funk Brothers’ inserting the right mechanics to give the record rhythm and drive. But the vocals — the paint job, if you will — seem to be just a weak first coat, without the gloss to accentuate each curve of the car’s body. There’s none of the necessary second coat to add mysterious depth and intensity of feeling, and there are no glimmering chrome accents, to make purchase of the car compelling. It’s a functional piece that can get you from point A to point B, but there’s little pleasure in observing the hood over the engine or in the trip itself. Anyway, I’m glad you’ve returned from your excursions elsewhere, and I’m excited to think that the journey through Motown’s 1966 output and beyond, has begun again. It should be quite an adventure! You, sir – and your golden words – have been missed. Wishing you ongoing health and happy times. Welcome back. “Bye bye, baby, baby bye bye.” Well, in your case, Nixon, “Hello, baby, baby welcome back.” I felt like Randy, the newspaper boy waking up and finding a room full of toys. Good things come to those who wait. Now, about your review….wait,…I haven’t read it yet. Just glad to see it. BTW, I’ve always liked this one, especially the bye bye babies by Rudolf and O”Kelly. Good, not great, but likeable. OK, I have now read the review, another splendid one. You have not lost your touch, Nix, rust notwithstanding. So, as for the “coro,” we have the Andantes from the previous version. Do we also have the three Tops with an overdub by the two Isleys? I’m pretty sure I’m hearing Rudy and ‘Kelly amongst the others. Oh yes. Almost forget. I asked Santa fkr 689. Thanks, Nick and Nix. And that’s what happens ehen you don’t proofread at 3:00 in the morning. Hi Nix! As Eddie Holland once sang, “Welcome, welcome, welcome back!” Nice to discuss a “new” song for a change! But, I think you were a little too generous. I like the song, and The Isley’s performance. But I’d give it a “6”. James Dean’s touch makes this otherwise H-D-H song a bit unusual for them. That makes it more interesting to me. I’d like this better by The Isleys than by The Four Tops, and certainly more than by The Diane-led Supremes. Welcome Back Mr. Nixon! Given your appreciation of things Isley circa 1966-1967, I hear you when you say this version trumps the Tops. However, if what is on the other side is a 10, then this song while a good song ,is a 6 at best. I only discovered the joys of this Motown blog about a year or so ago, well after the time posts stopped coming in. I was disappointed that it seemed it wouldn’t be updated anymore. So you can imagine how pleased I am that it’s back. Motown Junkies is educating me on the history of Motown like no one’s business. Looking forward to future posts. I have been grumpy (as well as very concerned) since Motown Junkies went into hard-wait mode just on the point of featuring my favourite Isley Brothers track, “There’s No Love Left”. But here it is at last, and it’s a huge pleasure to be disagreeing with your scoring once again. 7/10? Pshaw. A standout 9! A word, if I may, for the string chart here – I think “shimmering” is the cliche I am groping for. Surely the work of Mr Paul Riser – has he STILL not been honoured by the Motown Alumni Association? Unbelievable. Keep ’em coming, Nixon. We’re all glad to have you with us once again. So happy to have you back! I’m looking forward to new reviews of Classic Motown Records on your website. It’s actually Lawrence Payton on lead on the Four Tops version. I love both versions. I’m definitely a Tops #1 fan. When I opened this page (as I do every day), it literally took my breath away. Hey, I have to say this old heart of mine almost couldn’t take it. Just wanted to say welcome back! I know there were some that doubted you but I never did. That’s why I’d come back every day. So glad to see you’re back and inspired to do this again. Oh, and a good post. I’d go a 6 or 7 on this by the Isley Bros. I only heard the Tops version once when I bought the On Top album. I don’t remember it. I remember only liking the two single tracks on the album so I brought it back the next day. Surprisingly enough they took it back if I bought a different album for the same price. I’m so glad to read another post. On to phase two! I remember liking this when it first came out on LP, especially because it was an original, not a cover. When I heard it on the Complete Motown Singles, two things stood out. It had lost some of its luster in comparison with other, later HDH records, and the single mix seemed poor (drums were too loud, vocals almost overwhelmed, details neglected). Especially compared to the masterful singles mixes of this period. But it’s great to get your take on it. Welcome back! As ever, it’s a pleasure to be disagreeing with your scoring. 7/10? Pshaw. A 9 at least. Let’s have a shout-out for the string charts here. “Shimmering” is the cliche I’m probably groping for. Surely the work of Mr Paul Riser. Has he still not been honoured by the Motown Alumni Association? Unbelievable. Happy days are here again 🙂 Welcome back! Welcome Back! I think the major reason the Tops version seemed to miss the the mark was the lead vocal–By Lawrence Payton NOT Levi. I’ve heard the Tops’ version hundreds of times and never realised it wasn’t Levi Stubbs on lead? Are you sure of this? Compare the lead vocal on “There’s No Love Left” to the one on “Love Feels Like Fire”, which is also lead by Lawrence Payton. When belting, his voice often sounded vaguely similar to Levi Stubbs’s (a little closer to Joe Stubbs’s, actually). Thanks. I Hear it now. “Stay In My Lonely Arms” is another good one to tell the difference. Well hello and welcome back…and I trust eveything is now hale and hearty ? I literally did a double-take when checked the site today! It’s just what I needed to see on this cold, dreary day. Welcome back! Whenever this song pops into my head, it’s always the Isleys’ version I hear. Sometimes I even forget that the Tops cut it too. I never remember which version I heard first though – probably the Isleys’. I love how the song maintains that trademark Motown 4-to-the-bar beat, but slows the tempo down to give it a mournful military feel, which really fits the lyrics. 8/10 for me on this one. I’d give the Four Tops’ version a 7/10. And nothing less than a 10/10 for your return to Motown Junkies! OMG, so happy you are back doing what only you can do so well. You made my day, I have been checking back regularly, always hoping! Having said that, now I can read your review while I keep smiling. Motown forever. Wishing you the best of health from Canada. Welcome back! So happy to see you are writing again. I joined during your hiatus, which gave me plenty of time to read every review. Your reviews are awesome, and I’m glad you are writing again. Oh, happy day! Welcome back, friend! I needed a pick-me-up and this more than suffices. I can’t wait for you to review “One More Heartache” a personal favorite of mine. I hope you and your family are having a great holiday season (and that goes for every other reader here)! Welcome back. You have been much missed and I wish you good health in the future. 1966 is my favourite Motown year, so thank you for making my day. Great to have you back Nix, many boring a day at the office was relieved by your superb site. Been a Motown fan for many years but I am stil learning new facts from the posts here. About this post, I had to revisit the Tops version and yes, it certainly sounds like Payton and not Stubbs on lead, wow. I think I need to listen for more examples where Stubbs handed over lead duties. ’66 is one of Motown’s best and successful years, can’t wait for future entries. So glad you’re back – I’ve missed you and your brilliant, insightful comments – the Internet has suddenly become a more welcoming and scintillating place. The ALBUM on which these songs appeared – with its notorious beachboy cover – has two songs which are among my very favourites: Take Some Time Out for Love and Seek and You Shall Find – in my view, Motown doesn’t get much better than these two – though the next entry is also one of my all-time favourites. CAN’T WAIT. Though perhaps we should all be joining in a joyful chorus of ‘You Can’t Hurry Love!’ WELCOME BACK!! Wow, welcome back…I missed this incredible blog terribly, and I’d started to despair of it returning. Just thought I would see if anything new had been added. Welcome back really missed reading this wonderful site. Welcome back, sir. And apologies for the delayed welcoming back. As we all know, there’s no such thing as too many copies of “Heat Wave,” so I just treated myself – for thirty bucks – to an additional VG++ condition copy of Gordy 7022. What the hell, it is Christmas. Are you really back or was that an intruder who sneaked in and did the last post? As over two months have passed and no more posts I’m beginning to wonder. Anyway happy and healthy New Year to you and all Motown Junkies!! In terms of posted content over the past two years, I am an intruder at this point! But still here. Happy New Year!